Your Dog Has Bad Breath? When your dog has bad breath, there's nothing worse than their wet kiss planted squarely on your nose. There is nothing like being greeted by a four-legged friend with a big slobbery kiss at the end of the day. That is unless your pet pooch has developed a bit of bad breath. There is a tipping point for dog owners between breath that is normal and tolerable and breath that is highly unpleasant. If we aren't careful, our pets can develop halitosis and incredibly bad odours. This isn't always down to something they just ate - although diet can play a big part in a healthy breath. The problem may lie in our own negligence with their oral health or other bad practices. The good news is that there are lots of simple ways that you can improve your dog's oral health and reduce those bad odours. The following steps are all simple approaches that we can all try with our canine companions. Give some of these a try and see if you can see an improvement in your pet's breath. First and foremost, you really do need to be sure that you are cleaning their teeth properly. This means regular cleaning with the right techniques and toothpaste. Some new dog owners don't always realise that it is best to clean their puppy's teeth every day. This regular routine means that it is less likely that plaque will build up or that food will remain stuck between teeth. Both of these problems are common causes of bad breath. Choose a toothpaste that your dog likes and try to make teeth cleaning an enjoyable exercise. You can find dog toothpaste in a wide variety of flavors including chicken, beef, seafood, vanilla and even Malt. Don't forget that if your dog or - you for that matter struggle with traditional toothbrushes, there are alternatives. There are great finger brushes that you can use to really get into difficult areas. This may sound like a weird idea, but it actually offers greater control of the brushing action and of your dog. It may also be a way to improve the trust and bonding experience if your dog doesn't like having their teeth brushed. When we want to improve our breath during the day, or between brushing, we often turn to chewing gum or mints to help mask any smell. While we can't give chewing gum to dogs, there are great dental chews on the market that can help. The best products have a range of helpful active ingredients that can reduce bacteria and remove plaque. Look out for different styles and tastes to find one that your pet dog will enjoy. Once you find a good match, you can leave them to chew on the product for a while and not have to worry as much. 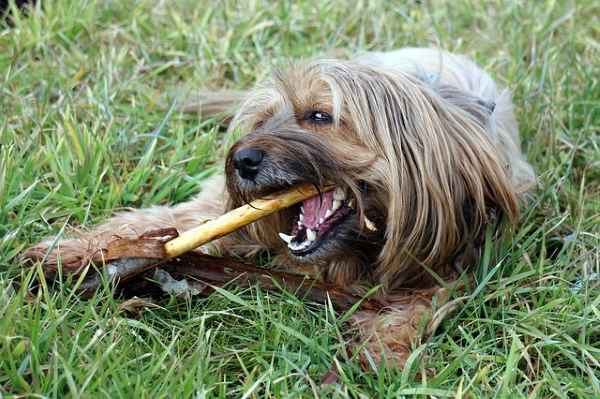 Dental bones are a popular choice because they mimic the look and texture of traditional rawhide bones. It might be a good way to trick your dog into chewing a healthier chew if they are cautious about new things. A well-made dental bone could keep them occupied for a long time while improving their breath. If dental chews don't seem like that much fun for dogs, and they don't take to them, you can still see results with ordinary chew toys. The main benefit of oral health comes from the chewing action rather than any special ingredients in the dental products. The motions and buildup of saliva dislodge food and plaque from the teeth to help keep them clean for longer. Therefore, you can give a dog a fun chew toy if they are more likely to use it. Just remember that not all chew toys are created equal. Make sure you find a product that is safe for your dog's teeth - especially if you have an older dog with tooth problems. Make sure that the material isn't likely to splinter. Also, don't let them chew old, broken toys for long as they can harbour bacteria. If you have a power chewer, there are specialist chew toys out there. If your dog has bad breath, may I suggest a couple of good products to check out. The source of your dog's bad breath might not be the food trapped in their teeth, but rather the quality of their diet. There are forms of dog food that don't always have the best ingredients for oral health. They are often cheaper options with lots of fillers rather than any crunchy vegetables. Inspect what your dog is eating and consider a new type of food. Healthy, grain-free solutions could make a difference. Dry kibble could also be helpful rather than a traditional wet food. There are also dog owners that swear by the raw food diet for dogs as a way of tackling bad breath. This is partly because of the raw vegetables, but also because of the effort needed to eat that raw meat off the bone. The action is much like that of the chew toys and can work wonder for removing plaque. This approach isn't for everyone because of the cost and preparation involved. Make sure that this new diet suits everyone involved. It is easy to lose track of just how many treats we give our dogs and just how unhealthy they might actually be. You may be surprised to learn just how much sugar is in some dog treats and even dog food. This sugar can contribute to tooth decay and other dental issues that may cause a smell. It may be time to cut back on these unhealthy options and try something that can actually help your dog's bad breath. This is where you can have fun experimenting with some healthy, crunchy treats that your dog will enjoy. One option that is popular with dog owners is chunks of carrot or other vegetables dogs can eat. You can also provide fruits for your dog, but due to the sugar content, a few will go a long way. This is great because of their taste and their strong, crunchy texture. This gives them a similar quality to those chew toys because it means that dogs bite down and dislodge food and plaque. You can try different option until you find one that your dog likes. Just make sure that it is safe for them in large quantities - just in case you lose track of how many treats they have had. When we talk about mouthwash and dental spray, we mean a dog-friendly product from your local pet store. There are some great products out there that can help with oral health and offer a great taste. At the same time, they don't have the same dangerous chemicals as mouthwash for humans. 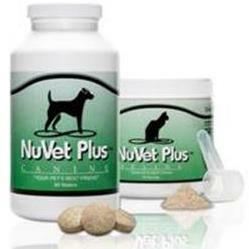 The formula must be gentle and pleasant enough for your dog to take it, but also effective enough to handle bad breath. Some patient, tolerant dogs may allow you to spray their mouths directly. However, it is easier to add some of this solution to their water bowl. If your dog has bad breath, here are a couple of suggestions of water additives you might want to explore. On that note, make sure to clean out their water regularly and think about making the switch to an aluminium or stainless steel bowl. Old, scratched plastic bowls can harbour bacteria and leach plastics into the water. Leave the water in their too long and it might get dirty and dusty. Where possible, it is best to use natural products rather than chemical ones with doggy oral health issues. We can be sure that the formulas are far less harmful, yet still have the same great health benefits. Natural dental products are a good start. However, some pet parents like to cut costs a little more by using natural oils and herbs. Some dog owners like to put coconut oil in their dog's water to help with oral hygiene. Others sprinkle dill seeds and a small amount of parsley into their pet's meal. Both herbs have great potential for freshening breath. Just be careful how much parsley you use as it can be dangerous in high quantities. These 7 tips on how to improve your dog's bad breath are a great starting point for those that struggle with canine halitosis. You may find that a little bit of trial and error is required here and that some options are more helpful than others. You could find that a new approach to brushing their teeth and some dental chews is more than enough. Those that already brush their dog's teeth regularly may find that their dog benefits from different chews or a new diet. Remember to let your dog have a say too. If they hate a toothpaste, dental chew or a new type of treat, don't force it on them. Try a different product or solution. Finally, don't forget to talk to your vet if the problem persists or becomes worse. These tips are a great aid for dogs that are suffering from a lapse in oral hygiene. However, there are other possible health reasons for their bad breath. If you have any further concerns, or notice any growths or additional problems, take your pet to the vet for a check-up. It is much better to be safe than sorry in case there is a tumour or a nasty infection. If your dog has bad breath and doesn't improve after trying these ideas, schedule a professional cleaning with your vet. After your dog's teeth are pearly white, it is much easier to keep them shiny clean. Make doggy oral health your number one priority and clear up that bad breath today. Dawn Bradley is a content writer at Pet Life World and a self-confessed dog person. 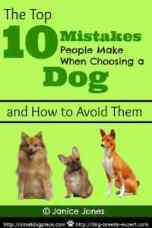 She is convinced that dogs are better than people a lot of time - which is why she writes so many guides to help them.